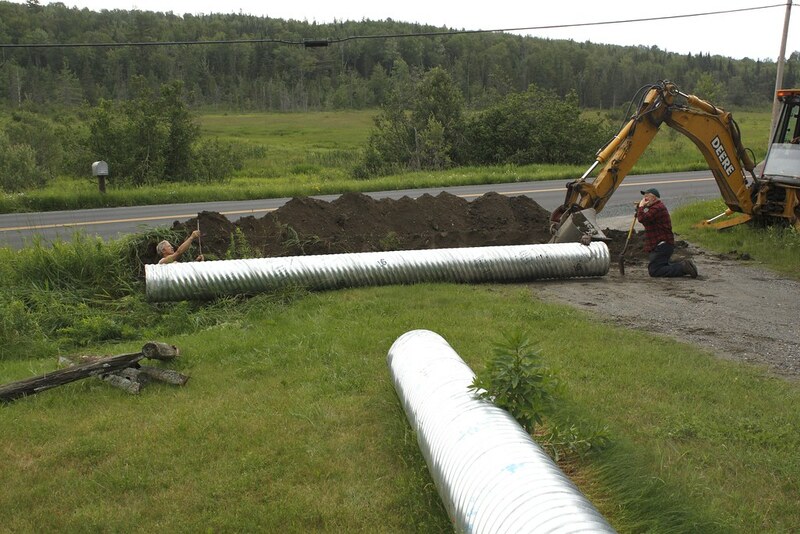 The road crew begins the installation of the new culvert. Barton has an ordinance that says that your driveway can only be twenty feet wide. Our driveway was created before that ordinance and it is forty feet wide. The town road crew says it is the widest in the town. 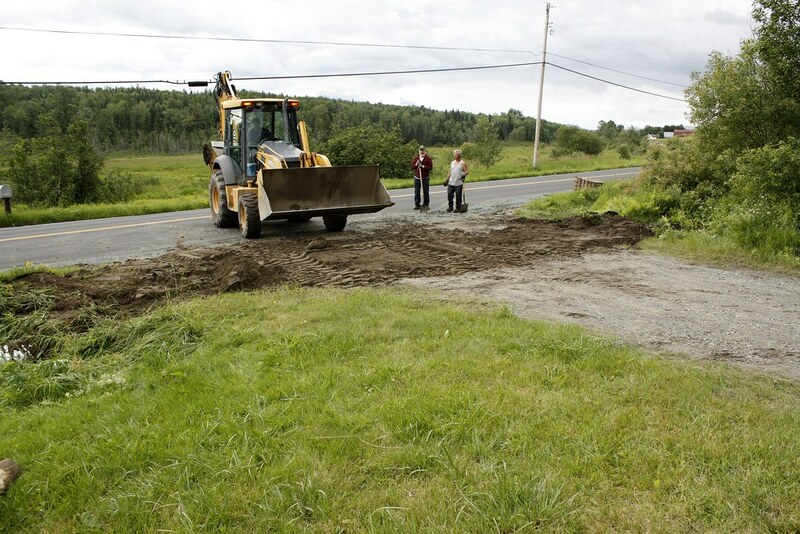 The problem with the driveway was that it had no culvert down by the road. Therefore, a lot of the driveway has washed away and it has created the land around the apple orchard to flood, creating a new bog. 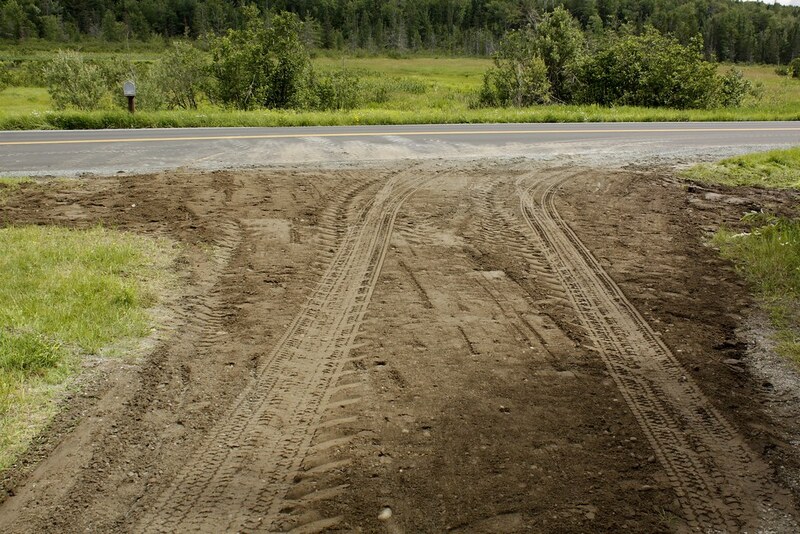 In the winter, ice from this bog would seep under the road and break the asphalt, so that the road here was always bad. People in church have even commented on the bad condition of the road here. 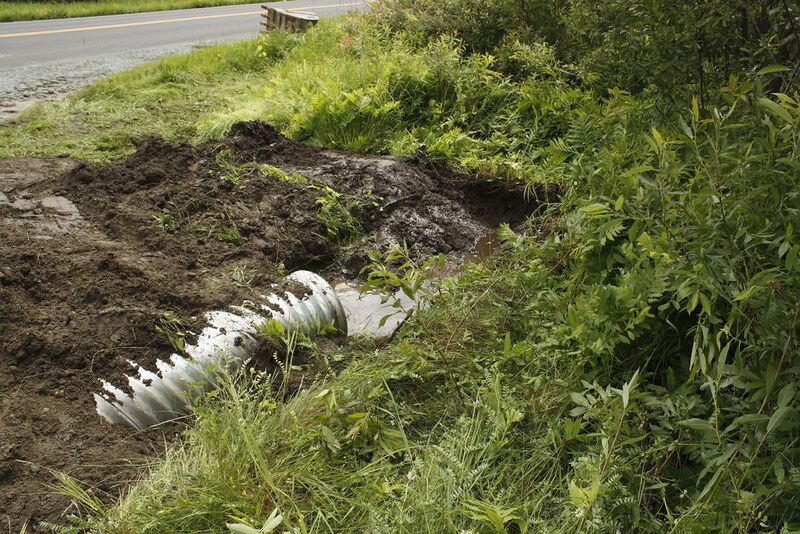 John quickly figured all this out and explained it to me, telling me that we need a culvert. So we called the town and Clem, Barton's Road Commissioner, dropped by and heartily agreed with John's conclusions. Clem doesn't even know why the driveway was allowed to be built so wide without a culvert. 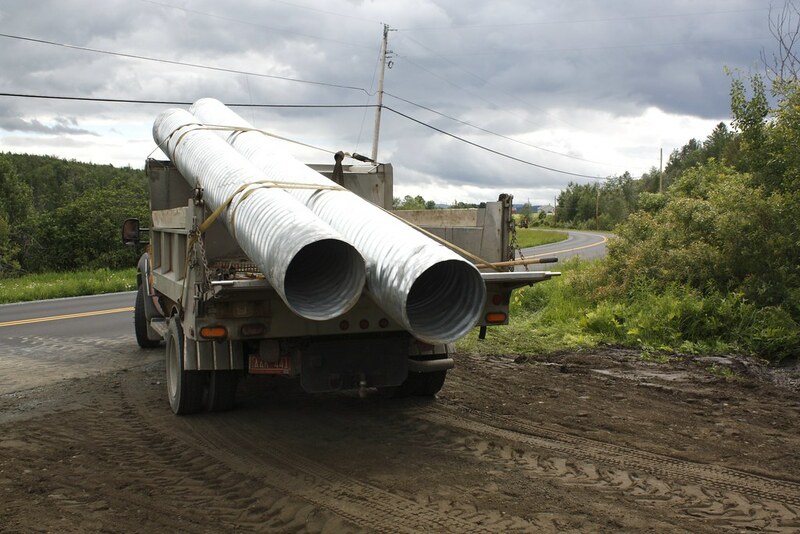 Now, property owners buy the driveway culverts and the town will install and maintain them. 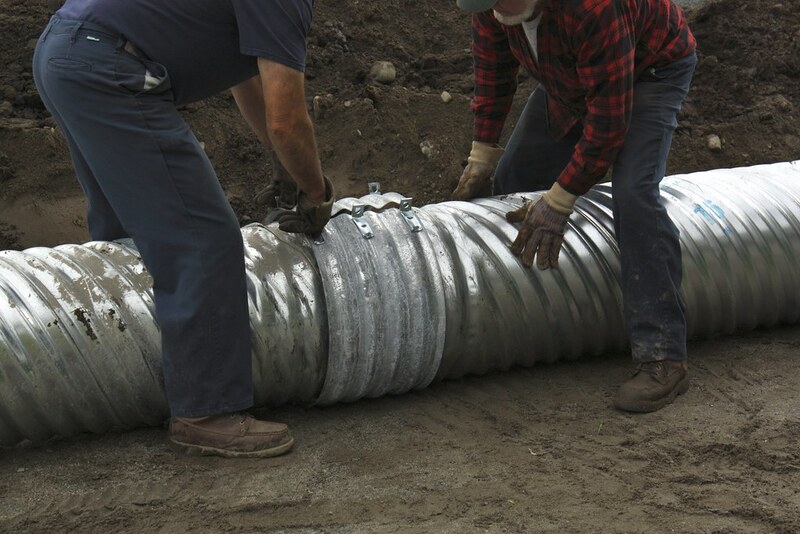 So John and I took off for Newport and bought a culvert and had it delivered. 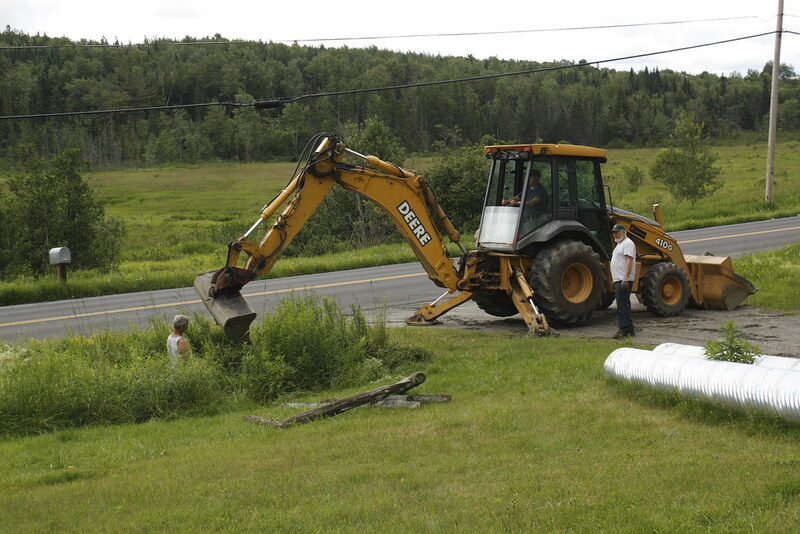 The Barton road crew dropped in on July 1, after Route 16 was paved and improved, to install the culvert. These photos illustrate the process. 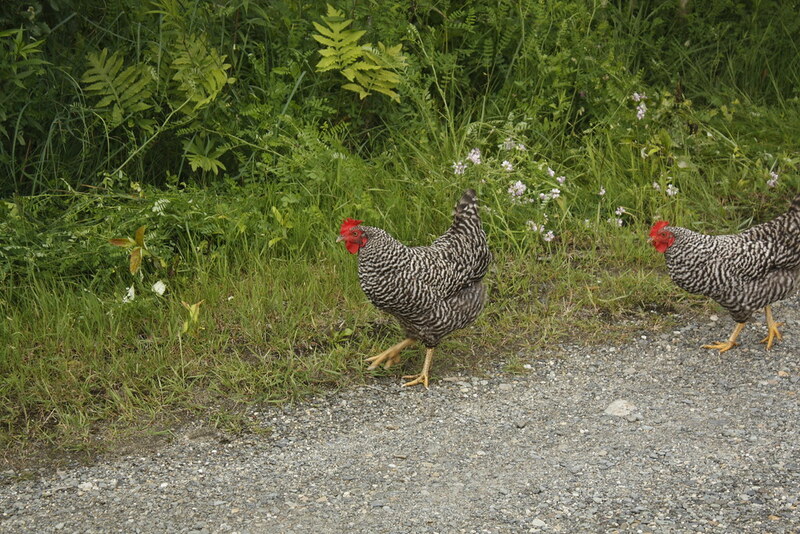 Tractor chicken heard the town tractor and came down for grubs. 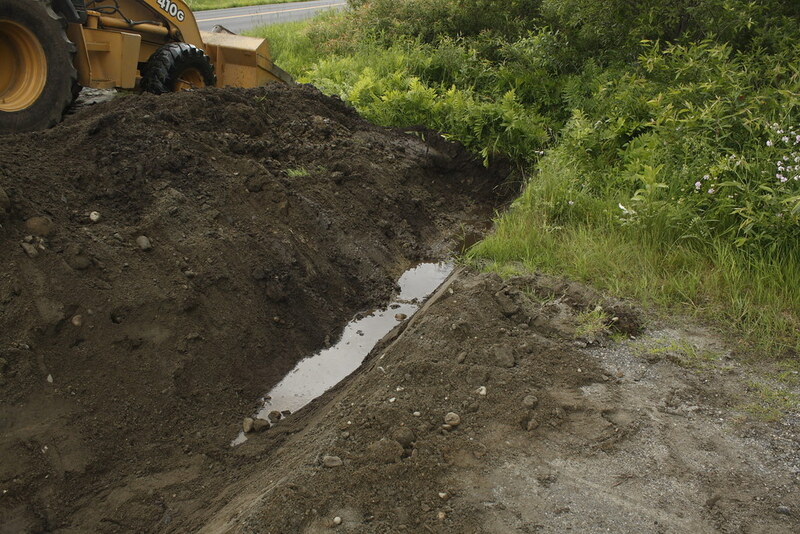 The ditch for the new culvert is dug. Clem uses a transit to make sure the ditch is level. 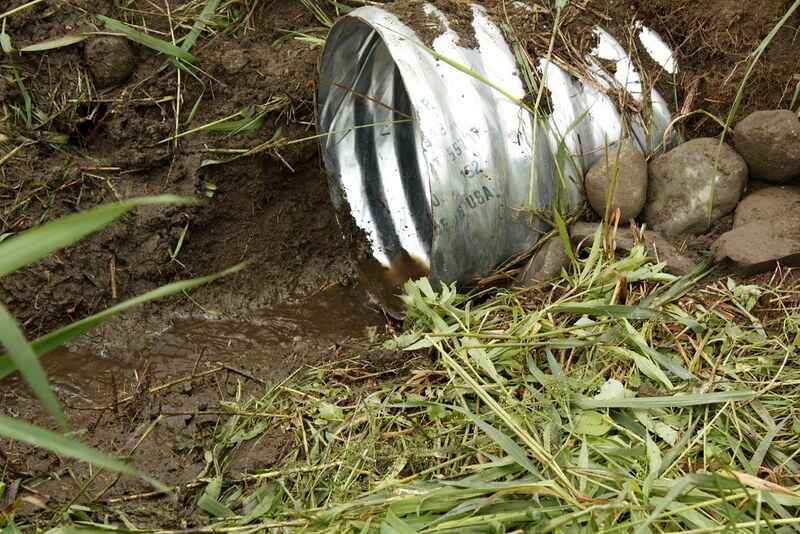 The ditch immediately fills with water from the apple orchard. 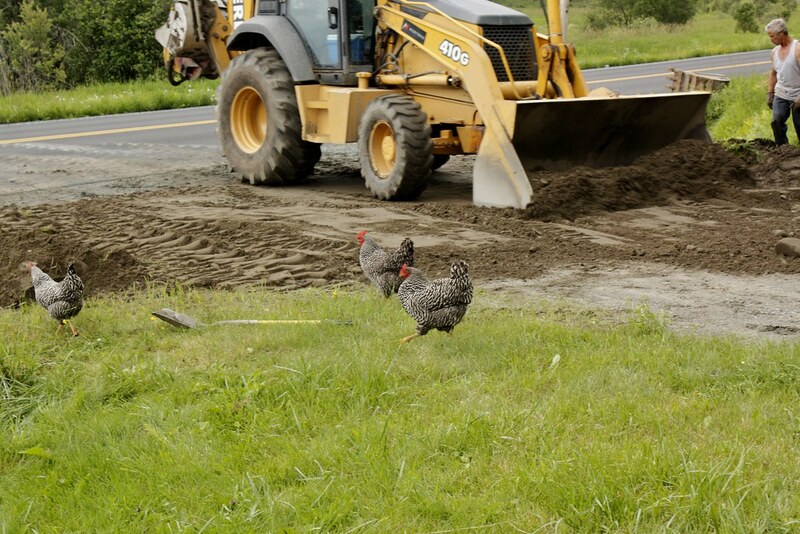 Tractor Chicken & her sisters move in closer. 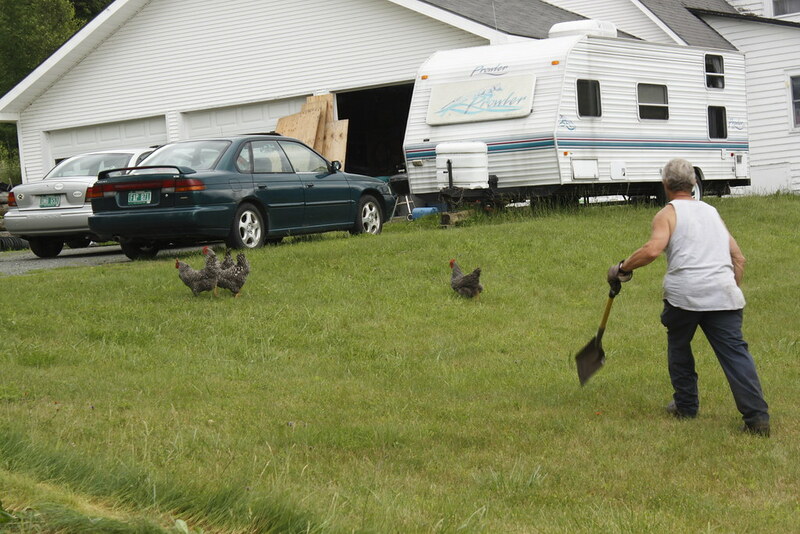 Tractor Chicken is determined to get to the new ditch. 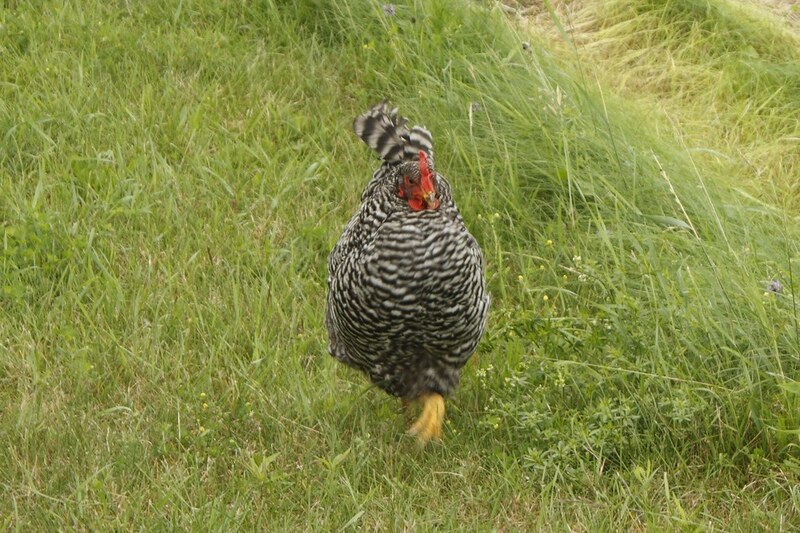 Clem chases the chickens away. The connector is added to connect 2 20-ft sections. Clem gives one final push on the culvert to send it into the ditch. 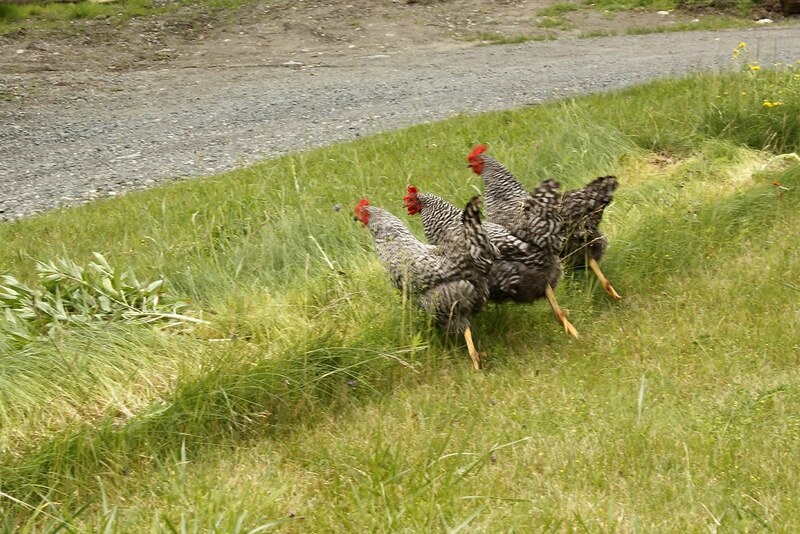 While Clem worked, I chased Tractor Chicken & her sisters away. the tractor. 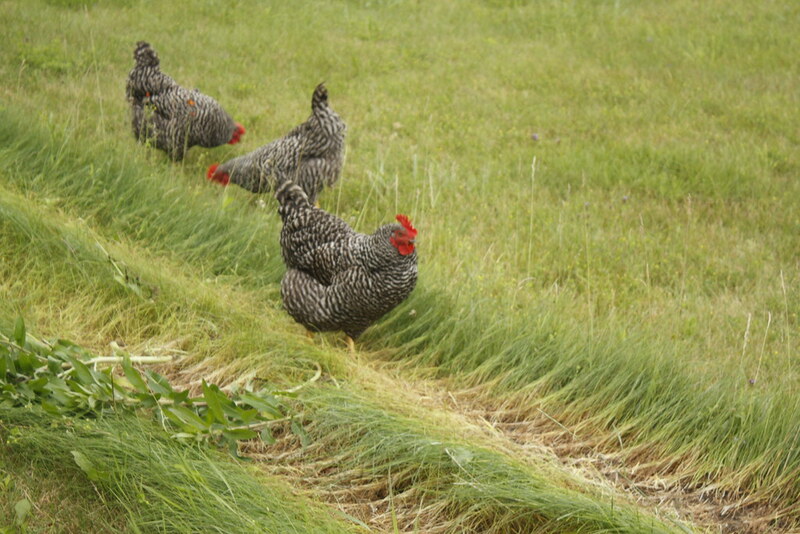 Very sly little chickens! Clem makes sure the culvert is flowing freely. 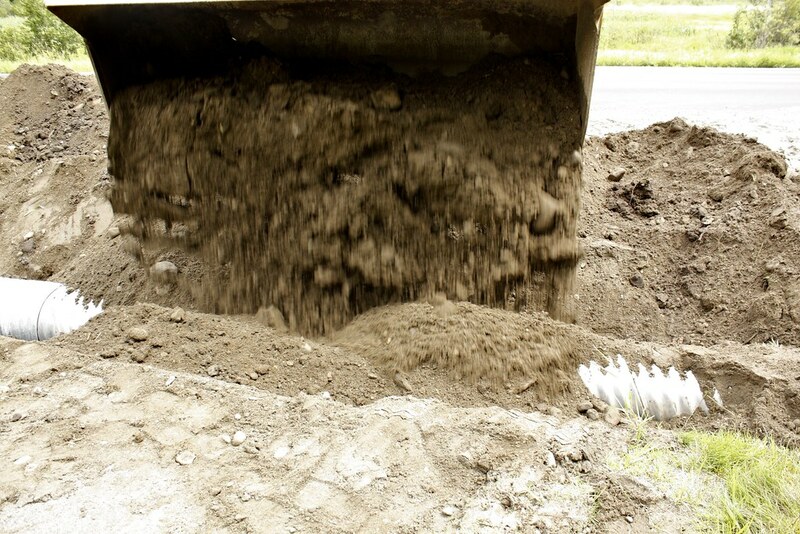 The culvert is buried with dirt. The west end of the culvert. Clem & crew drive off when they are done. 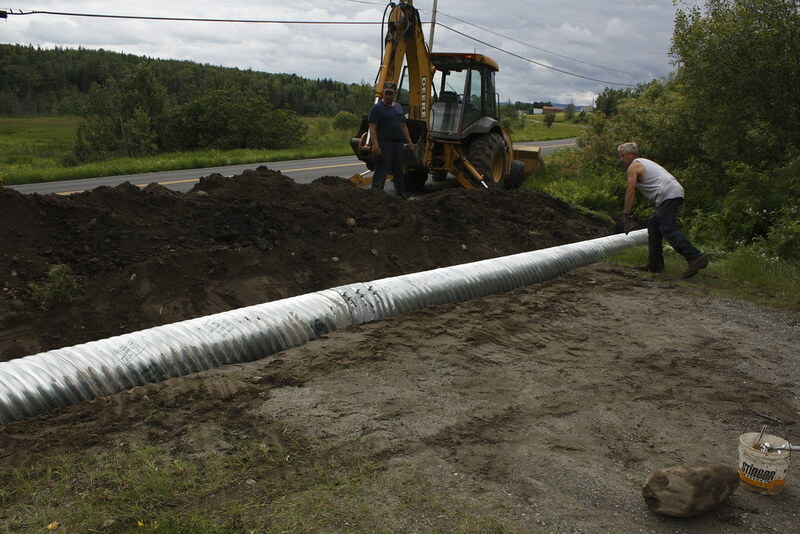 Installing the Driveway Culvert Set on Flickr. No so funny I guess.